The most important annual event for anyone involved in pensions, attracting 1,500 top industry professionals and over 80 exhibition stands. From trustees, pension managers and finance directors who control assets worth billions of pounds to HR specialists responsible for workforces of thousands of people, the delegates are made up of the most important pension decision makers in the country. 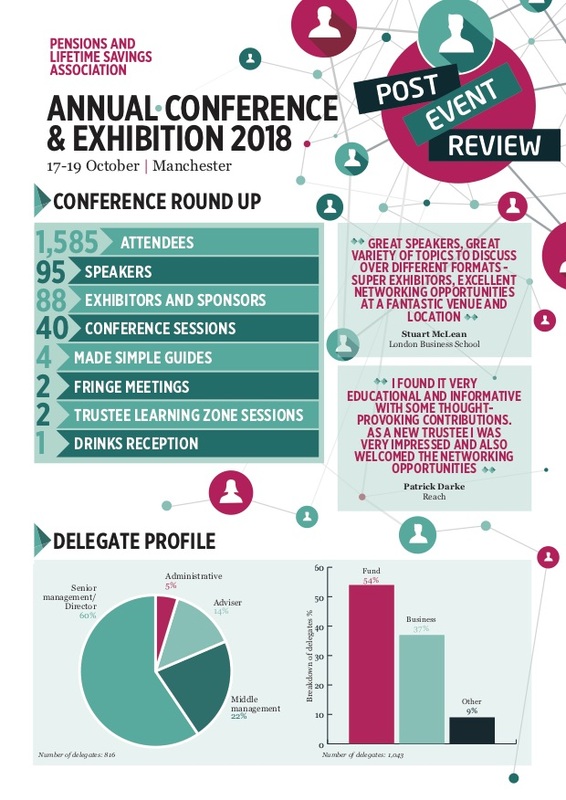 The conference includes keynote speeches, streamed focus sessions, fringe meetings, a Trustee Learning Zone, exhibition and various social events. Download key stats about the event below. The film below gives a summary of our sponsors and delegates response to the event. For date and booking information on the next Annual Conference and Exhibition click here.